This two-day introduction course takes you through the fundamentals of Revit, specifically for building design. Autodesk Revit software is predominantly used within the UK AEC (Architecture, Engineering and Construction) industry for BIM (Building Information Modelling) and features a number of high quality features to help you develop more accurate and presentable architectural designs. 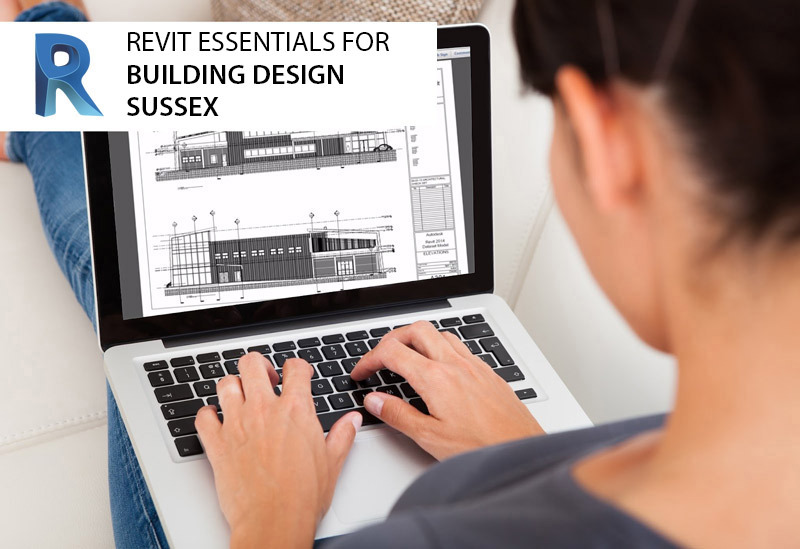 During this two-day course we will get you up and running and confidently using the Revit user interface, layout design, drawing tools, viewing BIM models, visualisation elements and more. Firstly, we want to make Revit training courses more affordable and accessible to small and medium size businesses in the UK, therefore we have introduced a fixed price of £445 per person for this two day course. Our trainers have over 30 years’ experience in the building and civil infrastructure industry, working on a wide variety of Revit projects across Europe. We have been using Autodesk Revit since its initial release and know how to effectively use Revit to manage projects that require BIM – you can’t get more experience than that! 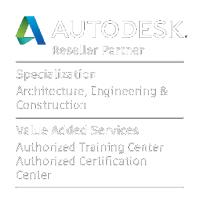 We are an Authorised Autodesk Training and Certification Centre as well as Autodesk Partner. Once you complete this two day course, you will be awarded with an official Autodesk attendance certificate. After taking this Revit Essentials for Building Design course you will be eligible to take an Autodesk Certified User Exam, this highly regarded certification confirms that you have the skills required to excel in your career, making yourself extremely more marketable to potential employers and clients. Furthermore, we sell Revit software and compatible hardware, as well as offer technical phone support if you ever get stuck in a sticky situation. We truly care about our customers and want to make sure you have the best possible start with your software, so all of our students will get a starter kit at the beginning of the course including a Revit shortcuts guide. Our Revit courses are booking up very quickly! Please call us on 01636 600688 or fill in a contact form if you would like more information about this Revit course. The course will run with a maximum of 6 attendees, no previous Revit experience is necessary but a basic knowledge of using Microsoft Windows computers or Mac will be required. Benchmarq is a fully Authorised Autodesk Training Centre and you will be awarded an official Autodesk Revit Certificate on completion of the course. After the course there is also the possibility to take an Autodesk Revit Certified User Exam and receive an official Certified Revit User Certificate, which can help boost your career, improve your Revit skills and win you more Revit jobs! This course will start at 10am and run until 4:00pm each day. Each topic is covered using practical examples that allows enough time to practice and feel confident in the software, enabling you to fully understand tasks and workflows. The course will run with a maximum of 6 attendees, no previous experience is necessary but a basic knowledge of using Microsoft Windows computers or Mac will be required. All training equipment will be provided on the day including computers and software. At Benchmarq we keep our class sizes to a maximum of 8 people to ensure you get a high level of personal attention from our professional trainers.